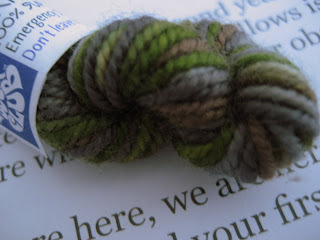 I've been meaning to post this yarn for the last week and a half or so. 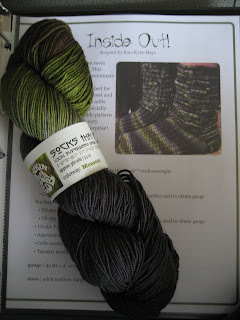 It is the latest Blue Moon Fiber Arts Rockin' Sock Club shipment (there are still twenty spots left if you want to join). 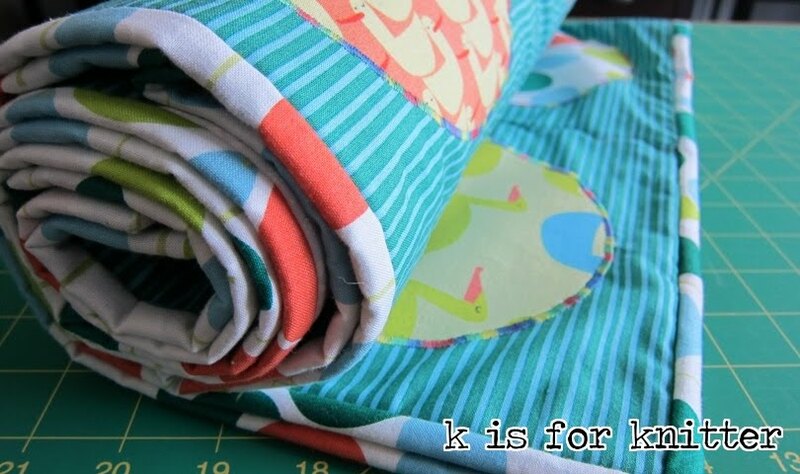 The colour is called Monsoon and comes with a really interesting reversible sock pattern. Here's a better picture of the hank's colours that should give you an idea of how they'll blend together. This is definitely not a colour that I would have chosen, but it's really starting to grow on me. I love the leafy green and muddy brown tones. It makes me want to grab a pair of rubber boots and go puddle jumping like I did as a child. I'm hoping that I'll get moving on these socks in the next couple of weeks. It is unlikely since I already have a couple of pairs on the needles and am feeling compelled to finish at least one of those first. Posted by Amanda at 10:06 a.m.